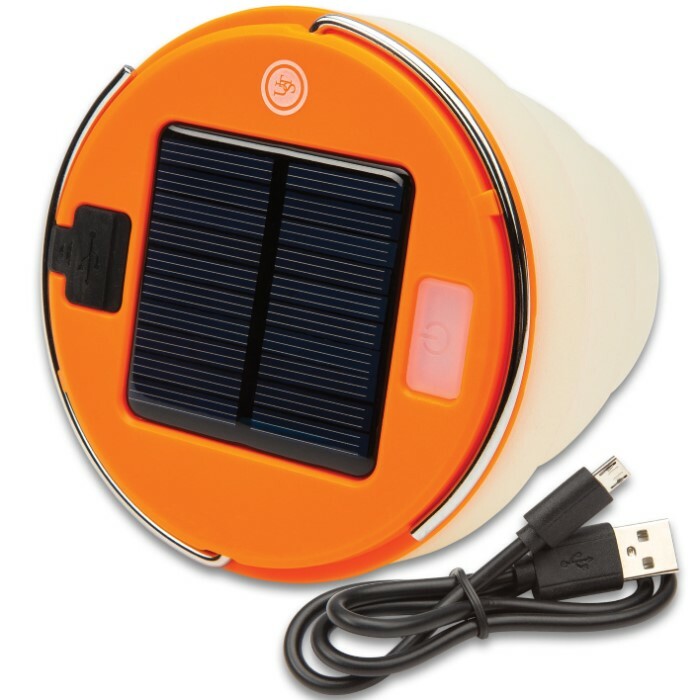 Spright Solar And USB Rechargeable LED Lantern - 120 Lumens, Water-Resistant, USB Chargeable, Hanging Hook | BUDK.com - Knives & Swords At The Lowest Prices! 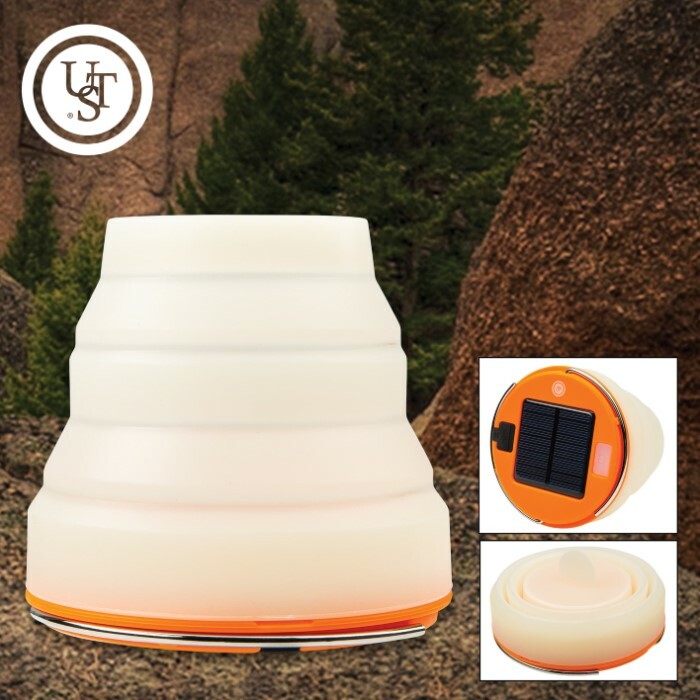 The Spright Solar And USB Rechargeable LED Lantern is a lightweight and compact LED that’s great for hiking, camping, power outages and emergency kits. 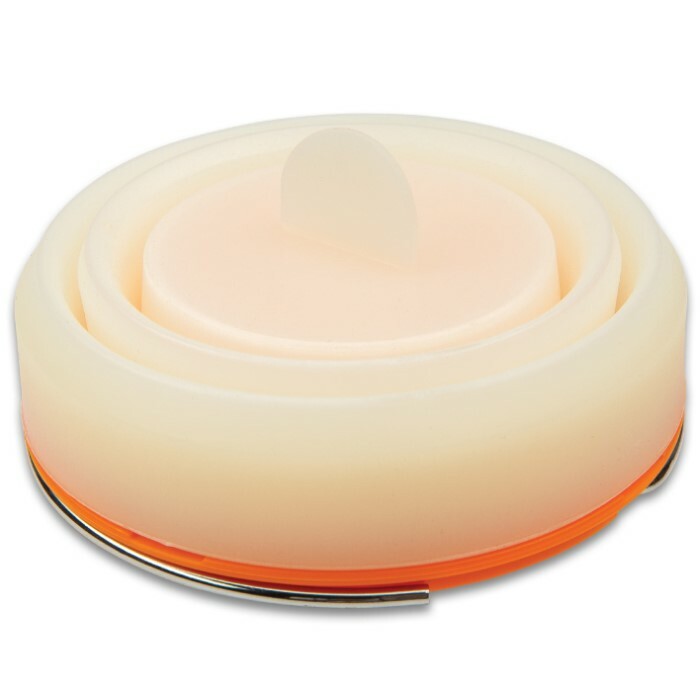 It features a soft, silicone globe that produces a pleasing diffused light and collapses into the base for storage. The silicone globe glows in the dark after exposure to a light source for approximately two hours of glow time. 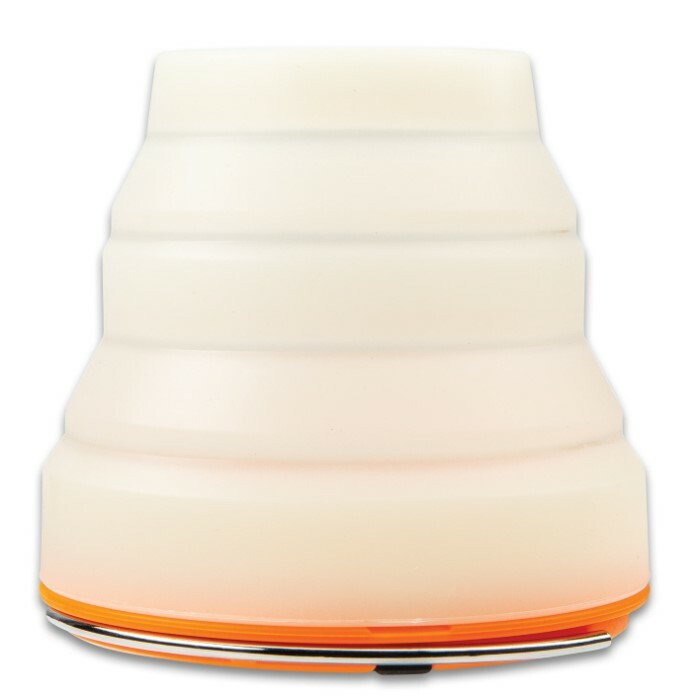 The lantern offers high, low, amber nightlight and an amber candle flicker mode, which is perfect for use in a tent. 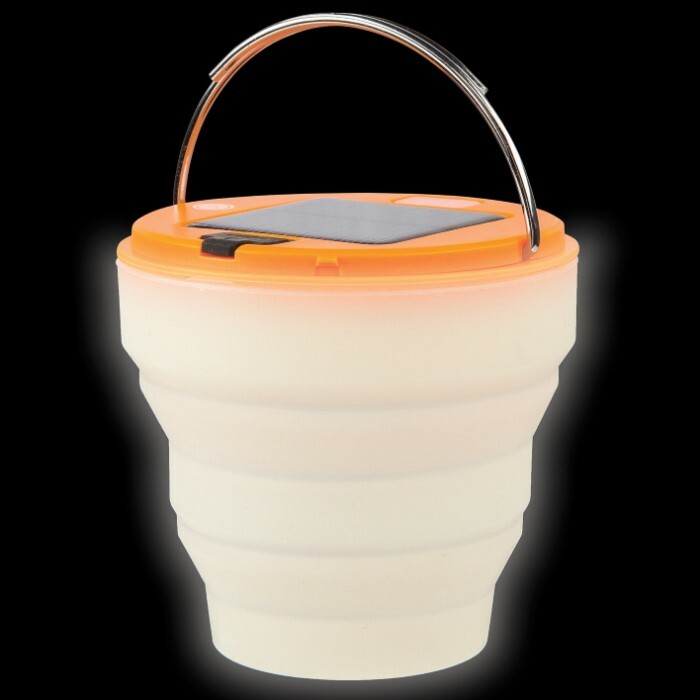 The integrated solar panel fully recharges the lantern in direct sunlight, so you never need batteries. A USB cable is also included to charge the lithium ion battery, as an alternative charging option. 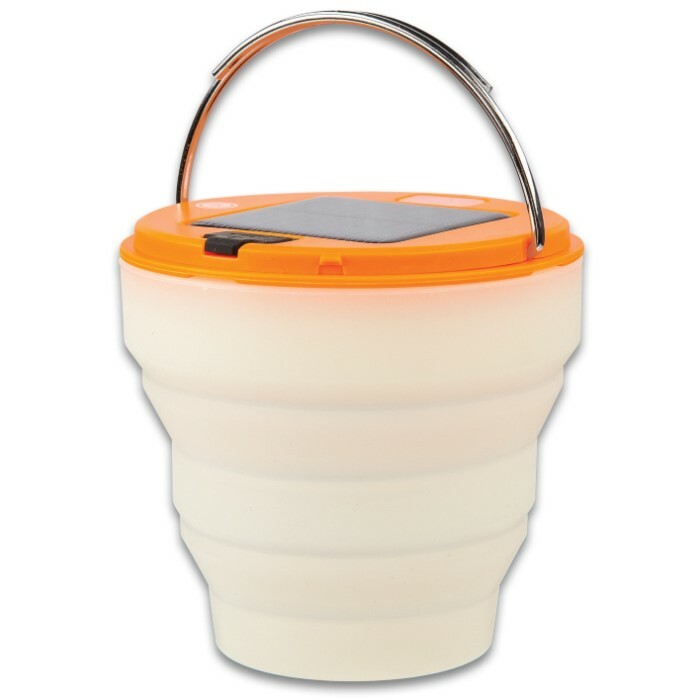 The compact camping lantern is water-resistant IPX4 (protected against splashing water from all sides) and has an integrated split bail hook for hanging.